If you haven't been reading the blog or checking out the website, then you're probably blissfully unaware that we're creeping up to Waiver Draft time. I know for most of the regulars in the pool, you're pretty much right on top of things, itching to make that move or two (or three, within the rules) and now that we're just about to get started with Week Eight, I have some time to sit down and ponder what could be done next week, possibly to give some people some hope, maybe even give someone an idea to keep things moving along quite smoothly in Week Nine. Mostly, it's just me playing around on my own blog site though. So, I am generally just going through, team by team, picking out the players that should be dropped and then taking the next best player at that position to fill the void. There is no real strategy to this, other than maybe moving towards the bonus rounds, if there are any, but I mean, how many people are actually reading this, right? First of all, the picking order on this post is from Week Seven, but this week will determine the final order of the draft, which could have some tweaks to it, understandably. So, let's see how the first round shapes up, as I currently have everyone making a move. 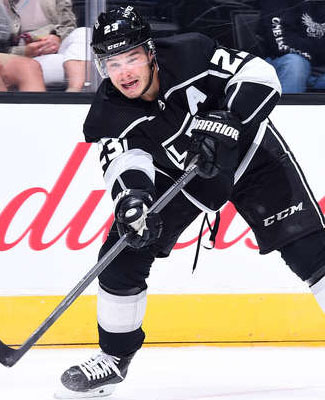 The race in this case is for Los Angeles Kings forward Dustin Brown, as the Kings have been surprisingly good again this year to start and Brown has found his way to the scoresheet more times than anyone probably expected. He is far and away the best player, to date, in the available players list and Scott B., who has not had a pleasant start to his first season in the hockey pool, gets a chance to take him and try to climb back up into the standings. The Waiver Draft will feature a good number of players that are injured, sent down to the minors, having retired or just having very poor starts to the year. There are some names that are certainly surprises on this list, like a Sam Bennett or Shea Theodore, but this really is the nature of the beast. The goaltending market is another issue, which may not get fixed for some teams, because there really isn't a whole lot out there, in terms of goaltending. Is the goalie you're going to drop get more minutes than the one you're picking up? Is he on a better or worse team? Is he injury prone? Hell, how far down the depth chart is he? That last one is really a question about the goaltending in Vegas, more than anything, trying to note that there are going to be some land mines out there to avoid. As it stands though, everyone has something to give up in the opening round of the Waiver Draft and of course, things can change drastically in a week or two. How about round two then? The depth of the original draft really shows when we get down to the second round of the Waiver Draft, as I am expecting a good number of teams to pass on their next pick, mostly because this is a long season and the players that teams have, although they could be hurt or not playing very well, could turn things around in the back end of the season. In other cases, it could be a good time to cut bait and just get someone who is a little bit better or maybe a little bit more consistent. 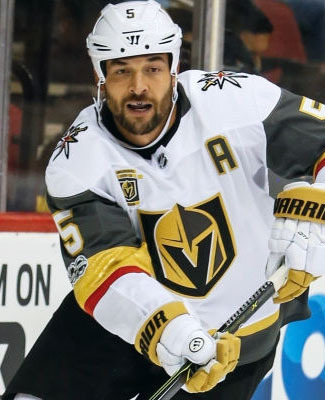 Between the first two rounds, the Vegas Golden Knights really steal the show, with seven players taken in this mock draft, including Deryk Engelland, who you wouldn't normally suggest as being a good hockey pool player, but he has been given quite the opportunity with the expansion team and that has translated into decent enough numbers to be considered for the pool this year. Go figure! Of course, the second round isn't quite where everything will end, but it will for right now. If your team suffers an injury in the week, especially in the long-term variety, the bonus round is there for you to make that move, just so you're not coming out of Week Nine with a long-term injury on your books. Also, if your team does have an injured player that hasn't returned in the week, beyond the second round of the Waiver Draft, then it is allowed to move that player along as well. All picks in the bonus round will be first come, first serve.